Kim Kardashian and her children share interesting similarities with Prince William and Kate Middleton's children, as well as Prince Harry and Meghan Markle's future child. 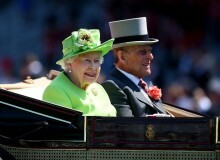 Prince Philip and Queen Elizabeth II engage in PDA every now and then. 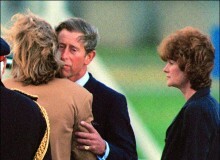 The Duke of Edinburgh was photographed kissing his wife on the cheek in 1982. Princess Diana became a tad bit emotional after the birth of Prince William since she had to introduce him to the world while in pain. Kate Middleton was dubbed as thrifty and low-key while living in Anglesey with Prince William during the first three years of their marriage. 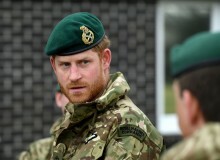 Prince Harry has lost one of his most notable attributes since he married Meghan Markle. 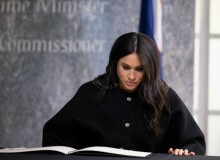 The two got married in 2018 and are now the Duke and Duchess of Sussex. 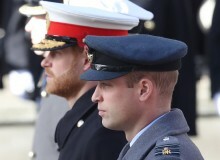 Prince Charles was left out of Prince William and Prince Harry's lives because the impact that Princess Diana left on the royal siblings is more commonly talked about. 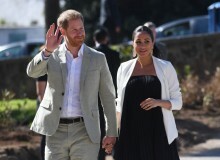 Meghan Markle and Prince Harry were accused of tricking the public into thinking that the former wasn't pregnant while they were on their first overseas tour in Australia. 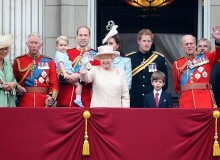 Kate Middleton's choice of clothes does not always sit well with Queen Elizabeth II. 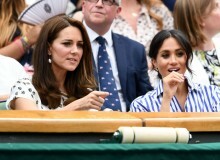 The monarch reprimands the Duchess of Cambridge whenever she dislikes what she's seeing.